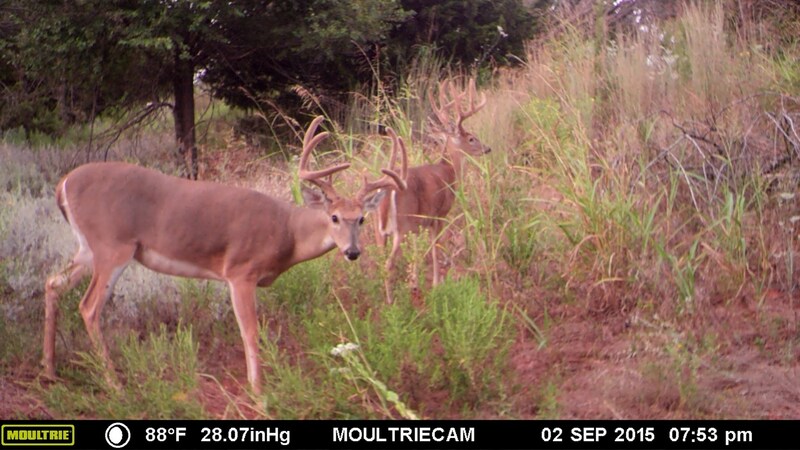 This Oklahoma hunting and ranch land in Washita County, Oklahoma has approximately 160 acres with native grass, creeks, mowed shooting lanes, heavily wooded with cedar trees that create a tremendous amount of coverage. The property has not been grazed in many years and has been used strictly for hunting deer, turkey, and quail. Bid today, on this fantastic piece of Washita County hunting and ranch land where you can bag your next white-tailed trophy. 160 acres of Washita County, Oklahoma hunting and ranch land will be sold at auction on Wednesday, April 24, 2019, 10:24 am at the Western Technology Center, Seminar Center Building, 621 Sooner Dr., Burns Flat, OK 73624. From Oklahoma Interstate 40, take the OK-44 exit, EXIT 53, toward Foss/Altus, turn south onto OK Hwy 44, travel 10.5 miles on OK Hwy 44. At the junction of Hwy 44 and Hwy 152, turn right (west) onto Hwy 152. Travel 4 miles on Hwy 152. Turn left (south) onto N 2100 Rd. Travel 1.5 miles. Property will be on east side of road. Be sure to look for signs. Auction will be held off-site at the Western Technology Center, Seminar Center Building, 621 Sooner Dr., Burns Flat, OK 73624. Check Out Dates - 10% of purchase price to be placed in escrow day of sale. Balance of purchase price to be due and payable in 45 days or upon acceptance of title. All taxes will be prorated to day of closing. Possession will be delivered to Buyer at Closing.